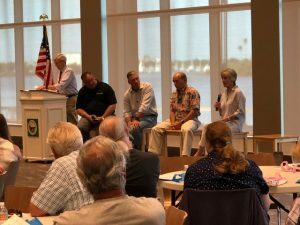 The City of New Smyrna Beach continued their monthly workshop series, Coastal Community Resiliency, on June 19 with a session devoted to our local economy. Hub founder and volunteer, Susan Ellis, representing The Hub on Canal. Below is the text from Susan’s speech. “In 2006 and 7 there was a housing boom…and in 2008 the recession hit Florida hard. It was especially bad in Volusia County – one of the areas that ranked highest in the entire nation for foreclosures. In 2010 unemployment numbers in Volusia County were 12.8 compared to the national average of 9.8. In New Smyrna Beach the economy suffered. About one third of Canal St was empty. Businesses closed, properties were for sale or rent…the Downtown took a beating. At the 2008 Florida Mayors Convention the idea of bringing art and artists to depressed areas was talked about. Cities desperate to get rid of blight made empty buildings available to artists…allowing breaks on regulations and restrictions and in some cases donating buildings to arts groups. There was some success. Figures showed that by investing in the arts and artists, a community received a return of $7million on a $1million investment. In 2012 Sally Mackay, Susan Stern and I opened an art space on Canal Street, The Hub on Canal, right in the downtown with empty buildings up and down the street. Our goal was to help bring Canal Street back to life – put feet on the street and have lights on at night. We wanted to join with the other merchants on Canal St. and The Canal Street Historic District who had been working hard to preserve this unique, delightful downtown. We wanted to offer studio space for artists to work and our community a place to create, learn and come together. We collected a whopping $23,000 from our friends, neighbors and the community to get us started. There were detractors and skeptics but we gained community support, artist support and government support, City and County. With Tony Otte’s encouragement we secured a three-year rental-assistance grant from the CRA…and signed a three-year lease on 11,000 sq. feet at 132 Canal St. Since opening as a 501(c)(3) Non-Profit in 2012, we have welcomed over 200,000 visitors. We have sold over $785,000 worth of art representing the work of more than 180 Central Florida artists. The Hub on Canal is open seven days a week and hosts over 60 events per year and we have more than 600 members. In the last three years we have taught more than 2,800 classes and workshops for children and adults on everything from conversational French to building robots. The Hub networks whenever it can…with ACA, Arts on Douglas, Artists Workshop, The CSHD, Gallery 120, with local businesses and with the City, Images, the music festivals …anything to share the costs and keep the visitors coming. Canal Street and the Arts District are growing a national and international reputation, and we are known throughout Central Florida. Every time you come Downtown you strengthen our Local Economy. You help to keep this town alive and well….strong enough to be sustainable…strong enough to be unique. And it is you that wants to keep our town the way it is…to retain its unique charm and sense of history…and so far there has been real progress. There is a life and energy on Canal St that cannot be denied. Restaurants, galleries and businesses have opened. We have The Brannon Center and the Tabby Houses. The Utilities Building has had an amazing facelift. Terry Jane England is soon to begin construction on “Jane’s” a gallery and studio at Magnolia and Downing. 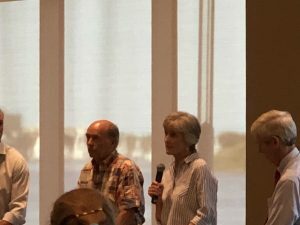 The CSHD is more organized than ever in their efforts to design offerings that will encompass the businesses along Canal Street. We are working to promote our emerging Arts District. This energy, this commitment, is essential to the identity and sustainability of NSB. Our Historic Downtown is open for business and must remain so…it is the heartbeat of our City. 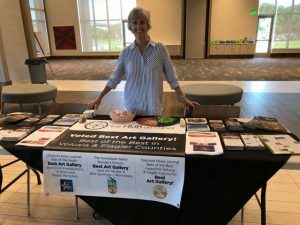 The Economic Resurgence that has been achieved in the last eight years underscores the importance of being deliberate …of protecting our old buildings …of the importance of art and neighborhood being the focal point of New Smyrna Beach…of the vital importance of good business practices and networking. If New Smyrna Beach wants to have a healthy and sustainable future we all have to commit to it. Everyone needs to be involved in the running of our City. Everyone needs to help sustain and protect our Local Economy.